Androidify Application to Make your Own Avatar - There's so many gadget such as tablet PC or Smartphone comes with Android OS. I'm sure that all of you was familiar with the green Android Avatar, and now you can make your own avatar by using the Androidify Application, just imagine that you can make your own avatar based on your photos. This application was really useful for those who love to change their avatar, it also helps you to make a Photo ID for your Facebook Friends. 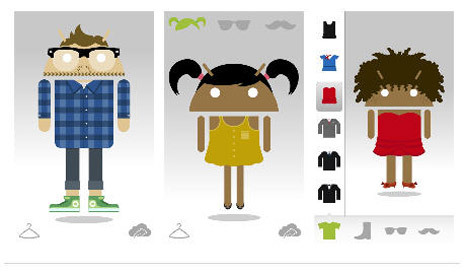 You can set your own types of Android Avatar starting from their body, outfit, color, hair and accessories. 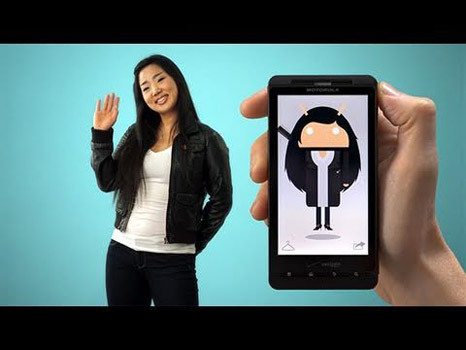 Google Creative Lab is making Androidify an Android application that allows us to create an avatar with a base image of the Android Original Avatar. So what are you waiting for? 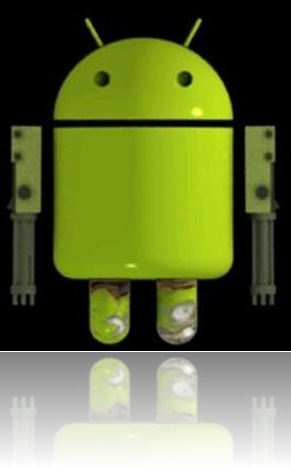 you can have this Apps of Android Market. and here's several example of the avatar made from this Androidify Application.